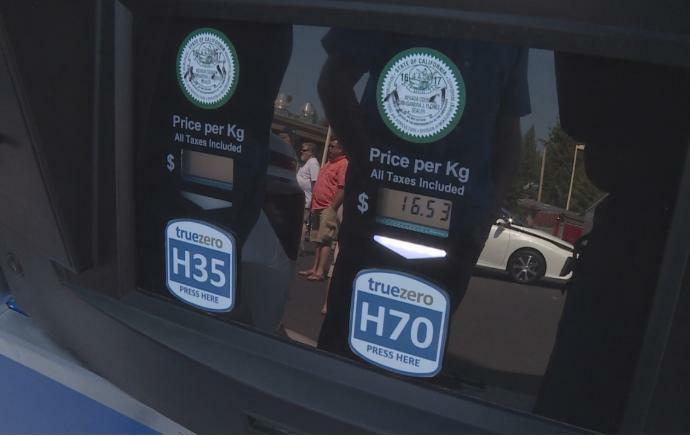 TRUCKEE, Calif. (KOLO) – Forget fossil fuels and battery-powered cars; it’s all about hydrogen now. Pretty soon, you’ll be able to use the element to fill up your tank. The new generation of cars requires no gas or battery. You can’t just fill up with any car; you need one that’s fuel celled-powered. Currently, Toyota, Hyundai and Mercedes Benz are the only companies that produce them, but Honda is set to release a model in this fall. A full tank will cost you up to $70, but it will give you at least 300 miles. The price is predicted to drop once the demand for fuel-celled cars goes up. “We see a path to get hydrogen as cheap or cheaper than gasoline in the next term actually in the next five years,” said Shane Stephens, True Zero founder. When you get to the pump, the process is the same, but you just have to be a little more patient. It’s slower than pumping gas, but faster than charging a battery. “Instead of charging the battery with electricity form the grid, you’re actually producing electricity from the inside of the car,” said Stephens. The only emission that comes out is water. “How awesome to be saving our environment,” said Bonnett. The station in Truckee is the farthest east the company, True zero, has built in the United States. Currently there are 19 stations in California, but the company hopes to expand east and bring one to Reno in the next two years.